Impairment is defined as “a significant deviation, loss, or loss of use of any body structure or body function in an individual with a health condition, disorder or disease,” according to the sixth edition of the Guides to the Evaluation of Permanent Impairment published by the American Medical Association. Oftentimes the terms “disabilities” and “impairments” are used interchangeably, but the distinction between the two is this: an impairment creates the disability, whether that impairment is physical, mental or psychological. Chronic health conditions such as Multiple Sclerosis, Stroke, Lou Gehrig’s and Parkinson’s disease are often associated with physical disabilities. 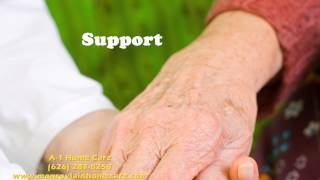 A-1 Home Care provides high quality 24-hour disability assistance for adults and seniors around Corona del Mar. 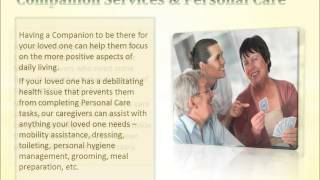 If you’re looking for high quality in-home care, look no further than A-1 Home Care! We provide round-the-clock non-medical in-home support for seniors and adults with neurological, cognitive and physical conditions. Live-in and live-out support services entail assistance with meal preparation, light housekeeping, trips to the grocery store or pharmacy, excellent companion care, and transportation to the doctor’s for routine medical check-ups. In-home disability care helps individuals maintain a balanced lifestyle while empowering them to do all that they want despite their disabilities. A-1 Home Care in Corona del Mar offers long-term and short-term care for individuals, whether they have a short-term disability after surgery or a long-term congenital impairment. 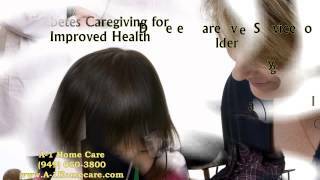 In 1991, A-1 Home Care was established as a licensed, bonded and insured agency serving families all over Corona del Mar. We exist to improve the lives of seniors, adults and children regardless of their disposition. 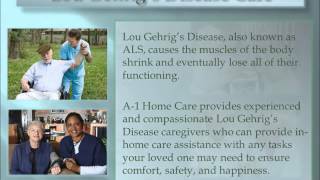 A-1 Home Care offers affordable in-home care services for all types of scenarios such as Alzheimer’s Care, after-surgery care, postpartum care, disability assistance, Parkinson’s Care, Lou Gehrig’s Care, Multiple Sclerosis Care and more. We see to it that your elderly loved ones’ needs are met, and customer satisfaction is 100% guaranteed. With A-1 Home Care, you will always be connected to a warm, caring customer representative on the other side of the line when you call, and our superior caregiving services remain unrivaled even after 25 years of service. For a free quote, call A-1 Home Care today (949) 650-3800 or visit www.coronadelmarinhomecare.com for services in Corona del Mar, Newport Beach, Laguna Beach, Dana Point, Costa Mesa, Tustin, Huntington Beach and surrounding cities. Hepatitis C, a virus infection of the liver, affects about 3.2 million people in the United States and approximately 150 million people around the world. Symptoms are so unnoticeable that many pass off fatigue, depression or nausea as signs of something else. You can get Hepatitis C from a variety of things you do without thinking, such as changing a diaper, getting a manicure or pedicure, or eating contaminated fresh fruits and vegetables. Sharing drinks, nail clippers, toothbrushes and other personal items puts you at risk. If the infection gets worse, you could experience pain in the abdomen, swollen blood vessels in the skin or jaundice and loss of appetite. A-1 Home Care in Corona del Mar provides round-the-clock in-home care assistance so you can rest during your recovery. By having 24 hour in-home care assistance with chores, you or your loved one will have more time to rest and enjoy other things without having to worry about mundane tasks. There’s no need to burden your loved ones when they are at work; an experienced, highly skilled caregiver is instrumental in establishing a routine for exercise and nutrition so you can feel better sooner. Peginterferon alfa-2a, a common medication prescribed for Hepatitis C, can cause serious side effects, such as depression, mood/behavior problems, suicidal tendencies and an inclination to relapse if there is a history of substance abuse. 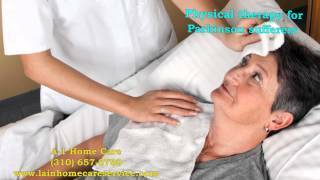 A trained live-in caregiver from A-1 Home Care in Corona del Mar recognizes these symptoms and will alert the rest of the family if there is cause for grave concern. If you’re looking for high quality in-home care with affordable rates, you’ve come to the right place at A-1 Home Care! Since its inception in 1991, this licensed, bonded and insured agency has helped thousands of families in Corona del Mar, Newport Beach, Laguna Beach, Costa Mesa, Tustin, Irvine, Seal Beach, Villa Park and other cities throughout Orange County. Our superb senior care and 24 hour in-home care services have garnered the trust of care recipients and their families for generations. You can finance live-in and live-out care based on your needs, level of care, and budget. We also accept Veteran Benefits and long-term care insurance from providers like MetLife Insurance and John Hancock. 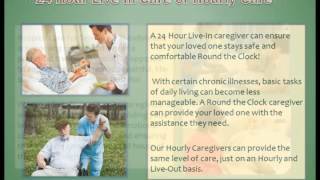 For quality 24-hour care, call A-1 Home Care (949) 650-3800 or visit us at www.coronadelmarinhomecare.com for details. Although strokes are common among the elderly, an estimated 18 in 100,000 cases of Arteriovenous malformations (AVM) are diagnosed in young children and adults under age 40, according to the American Association of Neurological Surgeons (AANS). Arteriovenous malformations (AVMs) are the most common cause of strokes for the younger population, and when left untreated, this condition of tangling blood vessels could lead to death. For years, doctors have reluctantly treated patients with AVMs due to the risks of treatment, but a recent study shows that not treating AVMs is far riskier than treating the condition. If a blood vessel ruptures, the individual may suffer from seizures, physical weakness, blindness or other neurological deficits if not death. Symptoms of AVMs are not readily apparent until a tangled blood vessel ruptures. Is your son or daughter complaining a lot about headaches on one side of the head, or is there numbness on one side of the body? 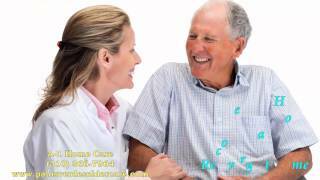 A-1 Home Care in Corona del Mar strongly recommends a medical check-up before anything serious happens. 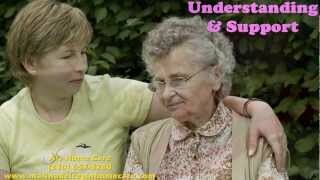 If you have a loved one at home who is suffering from symptoms such as vision loss, numbness or paralysis, speech difficulty, or severe unsteadiness, A-1 Home Care will help you with activities of daily living, such as meal preparation, light housekeeping, chores, transportation and companion care. A highly skilled caregiver who lives in your neighborhood in Corona del Mar or surrounding areas can take your loved one to medical appointments or out on social visits. You can choose from a variety of in-home care options such as 24 hour care, part-time live-out care, and temporary respite care. A-1 Home Care was established in 1991 to serve seniors in Corona del Mar, Yorba Linda, Villa Park, Orange, Placentia, Brea, La Habra, Eastvale, Chino and other surrounding cities. Licensed, bonded and insured, A-1 Home Care protects your loved ones from caregiver fraud and questionable characters. 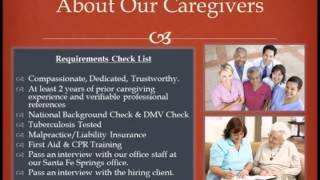 Each caregiver must pass an extensive criminal background check, DMV record check, professional reference verification and character screening before they’re allowed to be part of the winning team here at A-1 Home Care. Not only would your loved ones be safe and secure, you can also enjoy round-the-clock in-home care without breaking the bank! We offer you viable financing plans based on your budget and needs. A-1 Home Care also accepts Veteran Benefits and long-term care insurance. 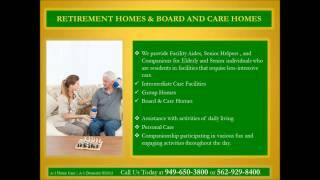 For a free quote, call A-1 Home Care today (949) 650-3800 or visit www.coronadelmarinhomecare.com for more details.